Scalloped star applique design. 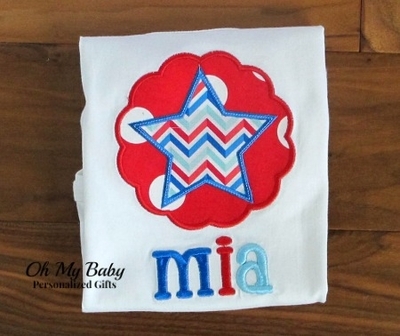 Perfect personalized Patriotic shirt to celebrate Memorial Day and July 4th. Embroidered name included.